Bayern Munich and Germany superstar Thomas Müller has revealed the secret formula to becoming one of the planet's best players: sacrifice, pain and — most of all — fun. 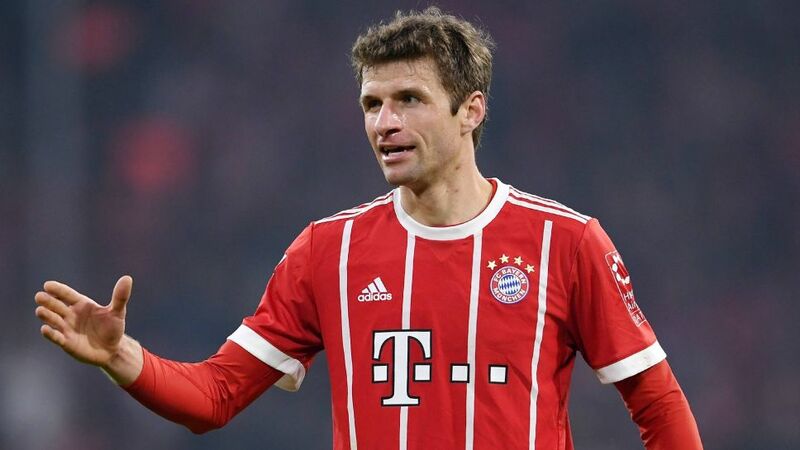 Since being spotted by a Bayern scout at the age of 10, Müller has developed into one of the world's foremost footballers and a serial winner, collecting six Bundesliga titles and four DFB Cups, as well as winner's medals in the UEFA Champions League and at the 2014 FIFA World Cup. A boyhood Bayern fan, the local-born Müller is now — at 28 — a man idolised by children the world over, all of whom would love to follow in his footsteps to the summit of the game. But how do they do that? "You have to sacrifice a lot of things and you have to suffer a bit, hurt a bit, but you must never lose the fun of it," explained Müller, who rarely has a smile far from his face. "You have to draw positive energy from that, and then many things are possible." Müller is living proof of that. He has played over 300 Bundesliga matches for Bayern since Jürgen Klinsmann handed him his first-team debut on the opening day of the 2008/09 season, testament to his talent and his wiry strength that led Bayern teammate Arjen Robben to once joke Müller never got injured as "he doesn't have any muscle, only skin and bones." While his status marks him out as a giant of the Bundesliga, physically, the Germany international remains almost as slight as the small boy who caught the eye of a Bayern scout who set him down the road to stardom. "When I was 10 years old, there was a tournament called the Mercure Cup near Munich. There was a Bayern scout there and I played pretty well with my team. "As a kid, I was of course already a Bayern fan, and I didn't let it drop. I told my mum, 'Come on, we have to go, I have a trial," explained Müller, who admitted he had gotten a shock when he turned up for his first training session at his beloved Bayern. "Then on 1 July 2000, I got my first playing licence with Bayern. I thought I was pretty good, but then I came to Bayern and I saw, 'Oh, there are other boys on this planet who can also play football well.'"